You need a lightweight axe. It should be light for you to use. This can depend on your strength. There are several models, which weight even a pound that the majority of gardeners use in their gardens. If you are not strong, you will find a heavy garden axe quite challenging to use. Therefore, weight is an important consideration. 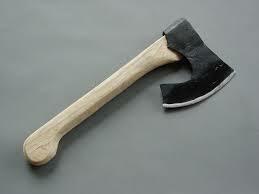 If you have adequate strength, a lightweight axe for your gardening can make it quite easier to accomplish your task. The handle should be easy to grip. Usually, handles are made of fiberglass, wood, or other sturdy materials. You can find some that have rubber applied to make it easy to grip securely. Ensure your hand fits enough and you have control of the axe. This will avoid injury arising from your garden hand slipping. 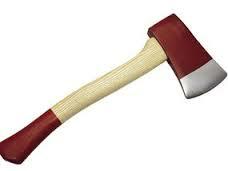 A steel axe is good. This is because it can hold its edge for chopping. Also, it should resist rusting and avoid unnecessarily tear and wear on the blade. 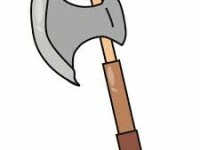 The axes available on the market with hand-forged blades have been found to be superior has compared to those made by machines. This is a vital consideration. If the axe is very long, it can be cumbersome in a gardening setting. The ideal length is 14-inches. Longer axes are designed for tougher jobs, rather than chopping roots. Nowadays, you can easily find reviews on axes online. You will learn from experiences of others. It is from these reviews that you will know what exactly the brands are performing. With some research, it is possible to save yourself from purchasing tools of poor quality.